The service-driven business prides itself on its clean facilities and being attentive to detail. Dave Nolan won’t sell a boat to just anybody. That might sound counterintuitive to most boat dealers — in fact, to most people in sales. But as the owner of Cape Yachts and South Wharf Yacht Yard, Nolan’s first priority is his promise that every customer will get superior service. A lot of people in sales talk about this commitment — but accomplishing it by actually turning away customers? As someone who waitressed in fine restaurants all through college, I tried — unsuccessfully — to convince several chef-owners that attempts to please the chronically unhappy only detract from the dining experience of loyal customers. So Nolan’s declaration was just one of many pleasant surprises I found at Cape Yachts when I visited its facilities in South Dartmouth, Mass. — one of the company’s three locations. Clearly Nolan is keeping the customers that matter. He says the dealership and boatyard have surpassed pre-recession levels, with 2013 their strongest year ever. Even the cold and dismal January this year marked another best for the company, Nolan said in early February. The past few months have seen physical growth, as well. 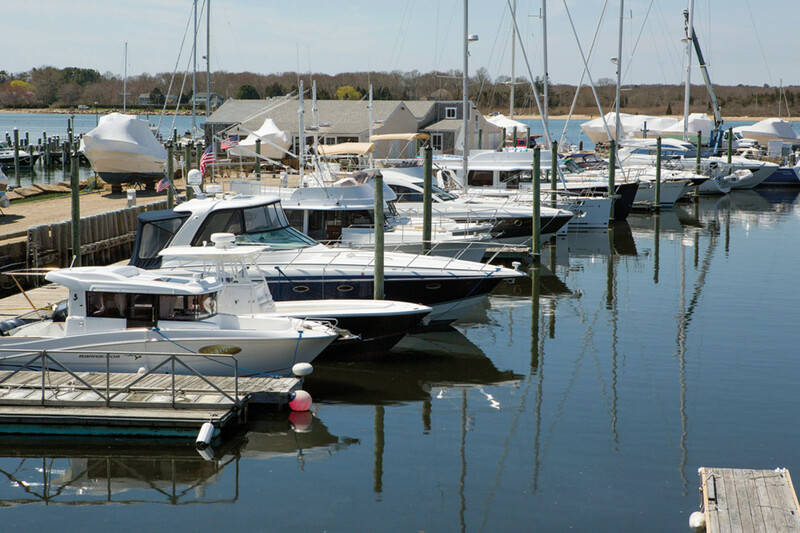 Cape Yachts opened a New York location at the Brewer Capri Marina in Port Washington and expanded at its Essex, Conn., location. The first thing you notice as you walk around the boatyard is that it’s spotless — to the point that you wonder whether actual work takes place there. 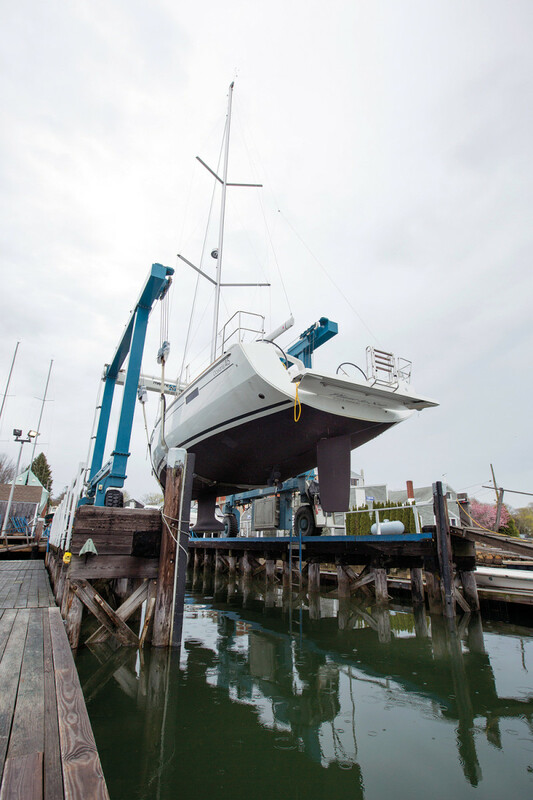 But Nolan also says that if you ask anyone — a boat detailer, a rigger, a salesperson — what their role in the business is, “they’ll all tell you, ‘We’re in the service business.’ It’s kind of neat,” he says. Nolan says it took years to establish that culture. In the interest of full disclosure, my reason for visiting initially was not to profile Cape Yachts, it was to sea-trial the Oceanis 41. It was a first sailing experience for someone whose boating history had been limited to powerboating — a fact that Beneteau USA president Laurent Fabre found unacceptable. When Fabre learned that I had never sailed, he fired an email to Nolan on the spot. It took some time to organize the visit around the weather, but finally I was barreling down from Boston, looking forward to my first sail. In more than a dozen years of covering the marine industry I’ve visited some amazing dealerships and boatyards. Each has its own style and personality. Cape Yachts and South Wharf still made an impression — the place was sparkling clean, everyone was courteous and happy and at no point did I feel rushed. 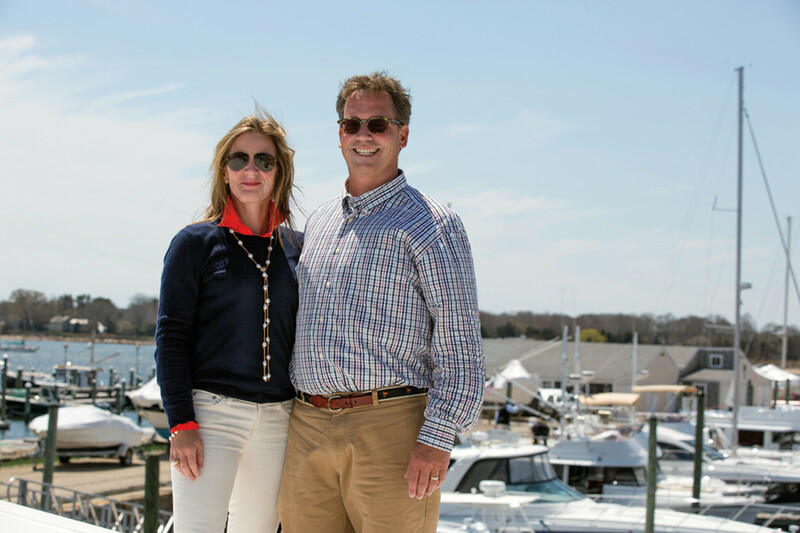 Dave and Jane Nolan own and run Cape Yachts in South Dartmouth, Mass., one of the company&apos;s three locations. Nolan’s vision for Cape Yachts hadn’t yet taken shape when he bought the company in 1989. Nolan is quick to point out that this wasn’t something he discovered by himself. A Harvard Business School professor’s presentation on professional management introduced him to a concept that he brought back to his dealership. He tasked his team to list every single attribute that the yacht-buying customers cared about. Now, he says, the company carefully chooses its partners. Beneteau, which is celebrating its 130th anniversary this year, has always involved dealers in product development, and the excitement at Cape Yachts makes it a valuable partner, Fabre says. 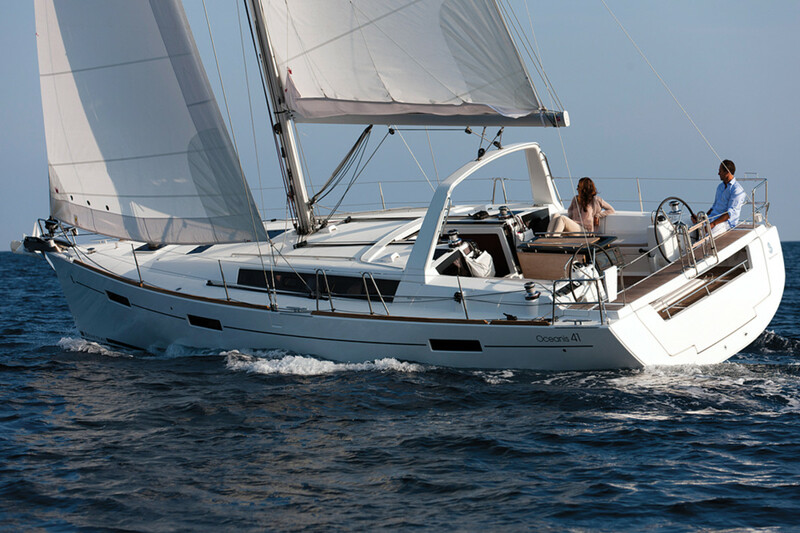 I have heard from several people who have no affiliation with Beneteau that getting a chance to sail aboard an Oceanis 41 as a first experience might have spoiled me a bit. The thing that stood out every bit as much as the lines of the boat and the comfort of the ride was that Eric Bratcher and Cliff Evans, who took me out on the Apponagansett Bay for my first sail, clearly were as passionate about Beneteau as their dealership is. Nolan says he also appreciates Beneteau’s emphasis on family. His wife, Jane, runs the sales component of the business, and it’s important to both of them that the word “family” is listed in the group’s mission, among passion, innovation and delivering the highest quality for the price. When you step onto the company’s property, you see that the surroundings are pristine, but at no point does a visitor feel out of place. One would never guess that when Nolan bought South Wharf in 2006 he spent months and a chunk of money cleaning what had been a hazardous-materials site. Greg Coleman, the training steward, gave me an extensive tour. Like every other person I encountered — many of whom didn’t realize I was a reporter — he seemed to have genuine pride in his company. He says new buyers often will stay in the area for a couple of weeks at the marina so they can learn how to use their new boat. Isn’t that expensive? I ask Nolan later.